Glucosamine is a supplement derived from chitin, a substance found in the shells of shrimp, lobsters, shellfish, and crabs. Glucosamine is made in the body naturally, and is a key building block for cartilage. Supplementation of glucosamine has been shown to help slow down the rate at which your collagen tissue and joints degenerate. 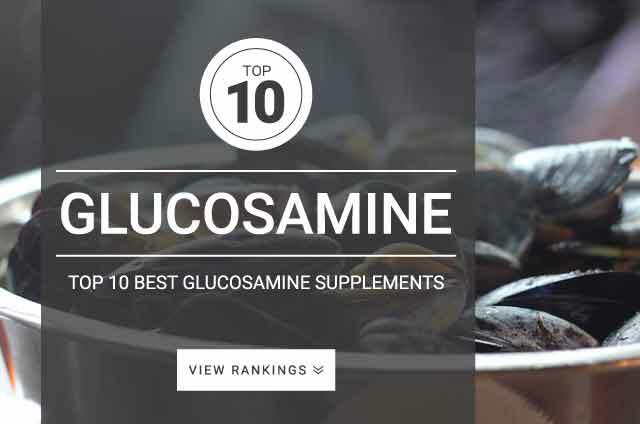 Studies show that regular supplementation of glucosamine can help support healthy cartilage and joints by improving the body’s ability to generate and heal damaged connective tissue. Glucosamine should Not to be taken by individuals with an allergy to shellfish as some supplements are derived from shellfish. Glucosamine supplements are derived from chitin, a substance found in the shells of shrimp, lobsters, and crabs. A typical dosage of glucosamine is 500 mg 3 times daily for a total of 1500 mg.
Glucosamine supplements are available in three different forms: glucosamine sulfate, glucosamine hydrochloride, and N-acetyl glucosamine. There appears to be no conclusive evidence that one form is better than another.